TOKYO, Japan — As Thanksgiving approaches, at least one turkey can breathe easy. 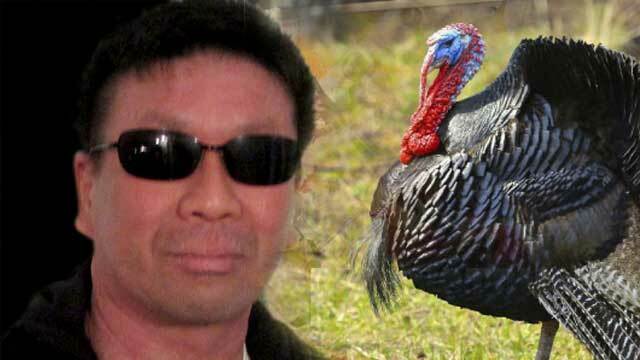 Japanese novelist Urobuchi Gen pardoned a 32-pound female turkey this week, choosing not to kill the turkey off in a yet-undisclosed screenplay he was writing. An official announcement from Nitroplus stated that the turkey will not be slaughtered in dramatic and ironic fashion, and will continue to be a minor character and make irregular appearances throughout the story-line before being written out peacefully. Nitroplus did not reveal any other details about the screenplay or why it apparently involves a turkey character, but the company did promise that an anime adaptation was coming soon. Plot twist: In reality the turkey is a human while all “humans” are turkeys.